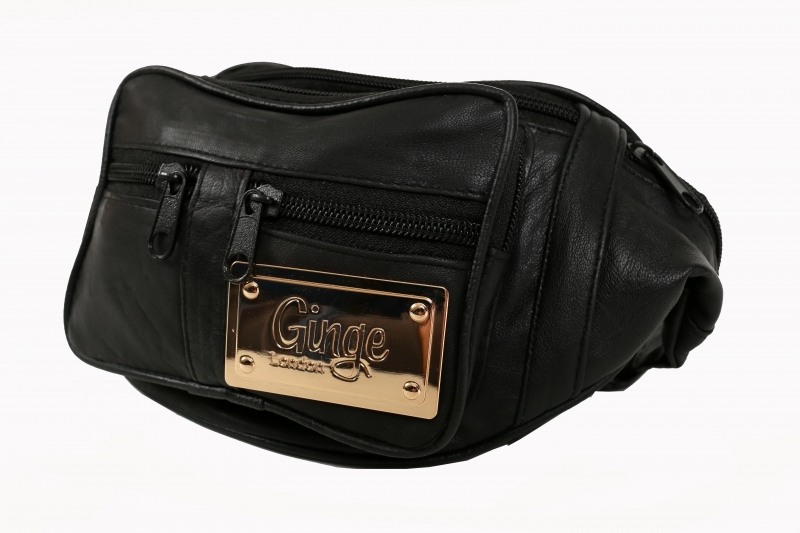 Ginge London Gold Plaque Bum Bag. Handmade, 100% Leather. 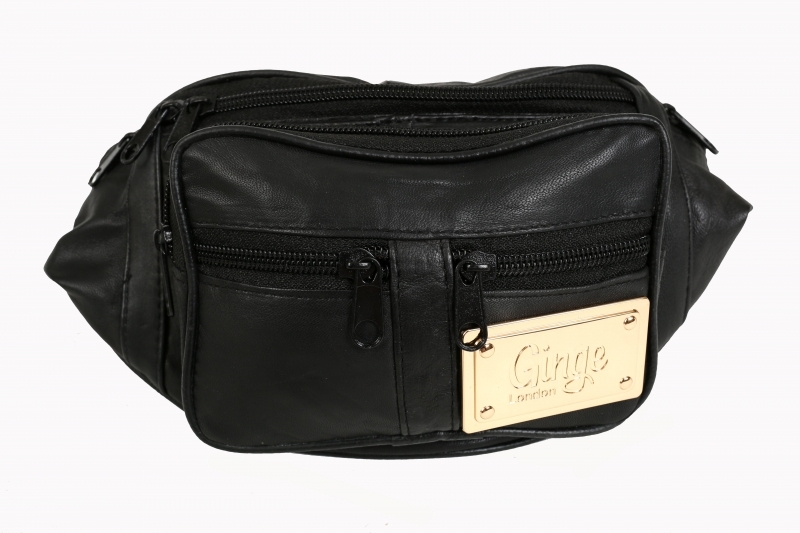 Carried across the body or around the waist, the Ginge London bum bag adds a modern urban edge to any look. The leather canvas, black zip and gold Ginge London plaque make it casual yet stylish. 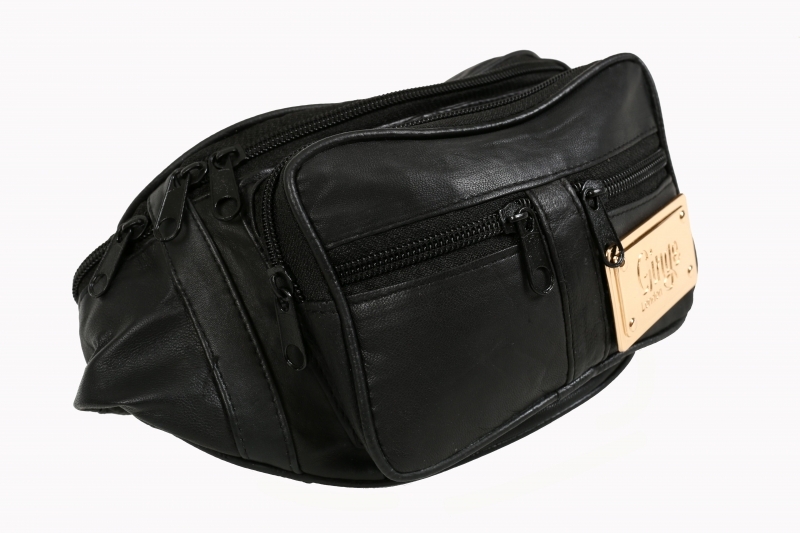 The loose fitting bag has seven compartments for storing your essentials. 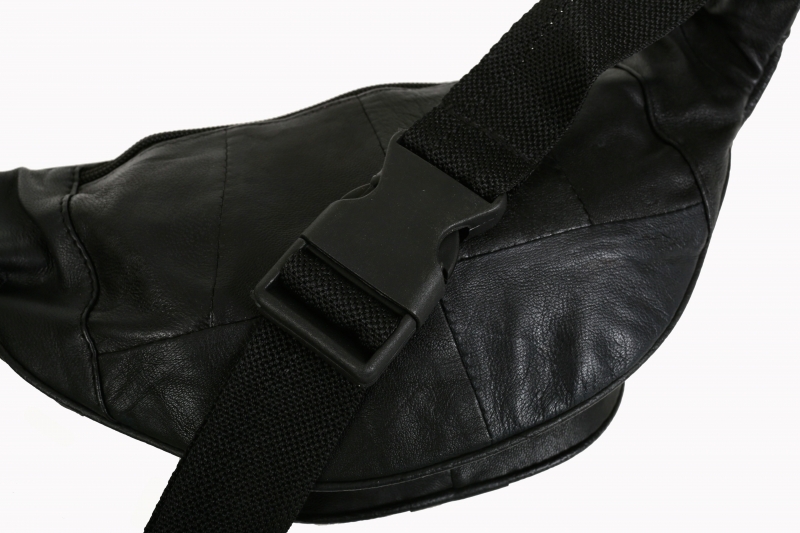 This item is ideal for a hands free option bag – perfect for gigs and festivals. So sad I didn't catch on to the trend before I went on hols last week....this is a great bag. Particularly as I love black leather and gold and I'm a ginge - best combo for me. Only thing I'm thinking is whether I stud it out with gold studding... Really fast delivery too! Just received my bag (fast delivery) â€“ great item/perfect for raving!! Great festival bag - kept my arms free for dancing and no pesky strap marks! love this!! perfect for festivals and holidays!! !